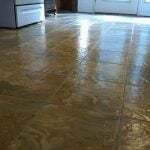 There are two types of vinyl flooring: sheet flooring, in which the flooring material is laid down in sheets 6 or 12 feet wide, and tile flooring, which uses tiles of 9″x9″ or 12″x12″. While sheet flooring is more water resistant and is easier to install, many homeowners prefer vinyl tile, which replicates the look of a ceramic tile floor at a more affordable cost. 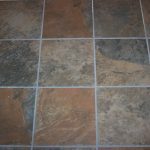 A vinyl tile floor is often installed in commercial settings where high traffic is a constant, or where a clean or static-free environment is desired. It can also be a versatile and cost effective choice for any household. In the home, vinyl tile flooring is often used where a significant amount of moisture is expected. 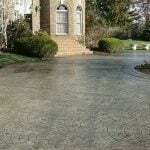 It is also frequently used in remodels to replace higher maintenance flooring, like carpet. The makeup of a vinyl tile floor is made in one of two ways. Inlay vinyl tile has multiple layers of the same colored vinyl that are fused together. With inlay tile, the color or pattern goes all the way through to the backing. This is a plus because the color will be the same, even if a layer or two wears away. “Rotogravure” vinyl tile floors are less expensive than inlaid floors. The tiles in this type of floor have a thin layer of vinyl on top that is colored with vinyl paint and covered with a protective coating. Over time or under extreme amounts of traffic, the layer of vinyl can wear through and the color will be compromised. 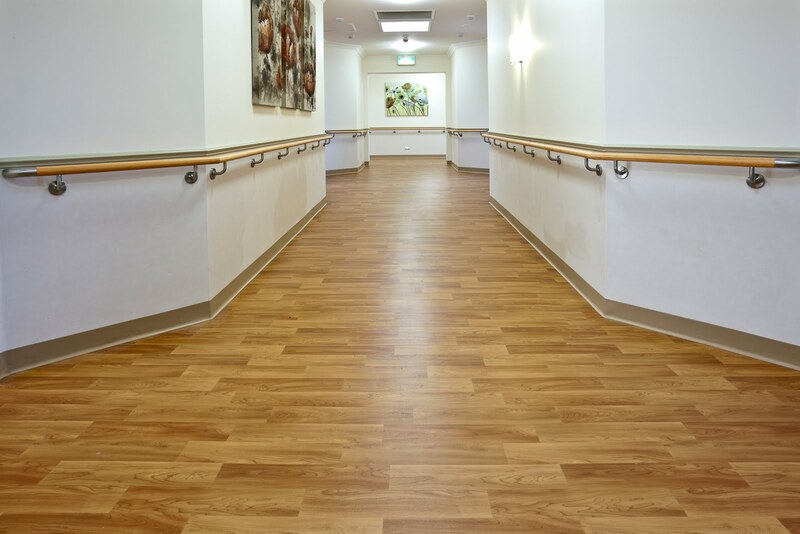 Vinyl flooring is durable and stands up well to heavy foot traffic. 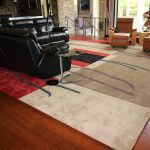 It is comfortable under foot and reduces noise, which can be important for owners with kids or pets. 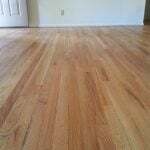 It is also less expensive than many other flooring options and is easy to install and maintain. Vinyl flooring comes in a broad range of colors and patterns to match every decor, including a variety of lifelike wood grains. On the other hand, vinyl floors do not stand up well to heavy loads and can be damaged by sharp objects. Also, colors can fade with exposure to too much direct sunlight and floors can be damaged by extreme temperatures. For that reason, vinyl is not recommended for outdoor or indoor/outdoor uses. The key to successful installation of vinyl flooring lies beneath the flooring itself. Vinyl tiles require an extremely smooth surface, because any flaws and imperfections will show through as bumps and indentations in your floor. Usually the best subfloor is a layer of well-sanded plywood. 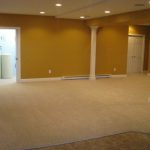 Most manufacturers do not recommend laying new vinyl over more than one layer of existing vinyl, and in fact will not guarantee the flooring if there is more than one layer of vinyl beneath. Another problem with laying over existing vinyl is that if the lower layer is patterned, the texture will eventually show through your top layer. Vinyl flooring can be laid on top of concrete, but again, uniformity and smoothness can be a problem. Also, a plywood layer will give you a better feel under foot. Some manufacturers offer do-it-yourself installation kits, but many homeowners choose to use a contractor in order to achieve a smooth, professional look. Need to find a pro for your Vinyl Floors? We purchased vinyl tile for a small lake house in central Michigan. The house is not occupied in the winter so we turn the thermostat down to about 50 degrees. The first summer back we discovered gaps of about 1/8″ at the ends of some of the sheets at sections of the room where long runs were required. The next year it got worse. I can’t say for sure, but it appears this stuff shrinks in the cold and then doesn’t expand uniformly… So, you have gaps… I have not been successful in trying to push the tiles back together either since they are locked in place by being attached to the other floor tile. We like the tile, other than the gaps we like the tile. Such a good read! Vinyl flooring is a great alternative for wooden flooring as they give a similar look. And you’re right that vinyl tiles are available in a wide range of colors so you can pick one according to your home interior. Also, thank you for mentioning the color fading property of these tiles. This is something I didn’t know before. 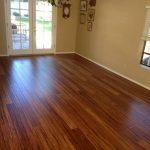 Vinyl floors offer you the benefits and appearance of hardwood floors. So if you think economically, vinyl floors are your best choice. Nice article by the way. 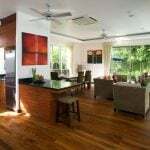 You definitely put some nice information regarding LVT flooring but you can elaborate this topic more widely by explaining a little bit more about by including LVP or EVP etc.